In the last article (link) I showed how to update a variable based on a file for script component. That’s useful when we are in a Work Flow. But sometimes the situation happens on the Control Flow. In this case we need to do a Script Task. 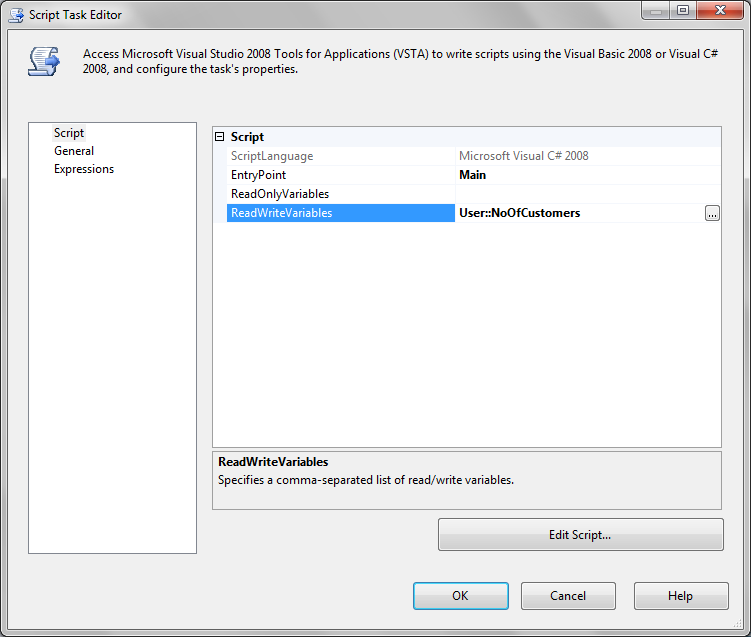 Using a Script Task it is a lot simpler than using a Script Component. We essentially need to do a bit of C# coding to read the file and set the variable.